materials and learning solutions that inspire students to achieve. Kortext, VitalSource, Chegg and Blackwell Digital, enabling students to access content in their preferred format. 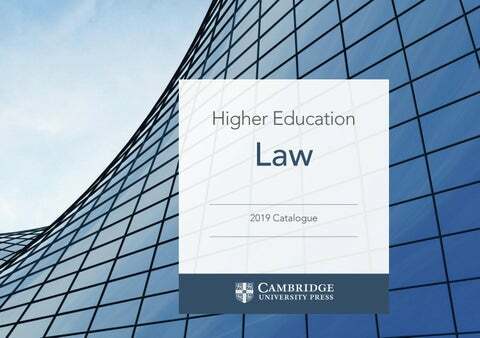 Higher Education from Cambridge University Press Higher Education from Cambridge exists to deliver the highest quality content and resources from leading authors to instructors and students, supporting successful teaching and learning journeys in todayâ&#x20AC;&#x2122;s rapidly changing educational environment. Higher Education from Cambridge is committed to producing high-quality, research-led content and relevant, pedagogically effective teaching and learning resources that support instructors. We produce resources that are accessible to, and evolve with the needs of, the global student community, to deliver better learning outcomes. 1. Introduction; Part I. Traditional Comparative Law: 2. The comparative legal method; 3. Common law and civil law; 4. Mapping the world's legal systems; Part II. Extending the Methods of Comparative Law: 5. Postmodern comparative law; 6. Socio-legal comparative law; 7. Numerical comparative law; Part III. Global Comparative Law: 8. Legal transplants; 9. Convergence, regionalisation, and internationalisation; 10. From transnational law to global law; 11. Comparative law and development; Part IV. Comparative Law as an Open Subject: 12. Implicit comparative law; 13. Reflections and outlook. Part I. Agendas and Objectives: 1. The roots of corporate insolvency law; 2. Aims, objectives and benchmarks; Part II. The Context of Corporate Insolvency Law: Financial and Institutional: 3. Insolvency and corporate borrowing; 4. Corporate failure; 5. Insolvency practitioners and turnaround professionals; Part III. The Quest for Turnaround: 6. Rescue; 7. Informal rescue; 8. Receivers and their role; 9. Administration; 10. Pre-packaged administrations; 11. Company arrangements; 12. Rethinking rescue; Part IV. Gathering and Distributing the Assets: 13. Gathering the assets: the role of liquidation; 14. The pari passu principle; 15. Bypassing pari passu; Part V. The Impact of Corporate Insolvency: 16. Directors in troubled times; 17. Employees in distress; 18. Cross border insolvency; 19. Conclusion. Contents 1. Introduction to international commercial arbitration; 2. The arbitration agreement; 3. Drafting the arbitration agreement; 4. Applicable laws and rules; 5. Judicial assistance for arbitration; 6. The tribunal; 7. The arbitral proceedings; 8. The award; 9. Attempts to set aside an award; 10. Enforcement of the award; 11. Investment arbitration. Part I. Introduction: 1. Nature and sources of labour law; 2. Globalisation and labour law; Part II. The Contract of Employment: 3. Terms of the contract of employment; 4. Authority and co-operation; 5. Flexibility and precarious work; 6. The personal scope of labour law; Part III. Statutory Regulation of the Employment Relationship: 7. Wages; 8. Working time; 9. Equality; 10. Work/life balance; 11. Civil liberties at work; Part IV. Collective Labour Rights: 12. Freedom of association and the right to organise; 13. Freedom of association and trade union autonomy; 14. The right to bargain collectively; 15. The right to be informed and consulted; 16. Collective action and the right to strike; 17. Liability for collective action; Part V. Termination of Employment: 18. Wrongful dismissal; 19. Unfair dismissal; 20. Economic dismissal. 1. The foundations of EU environmental law: history, aims and context; 2. Actors and instruments; 3. Principles in EU environmental law; 4. Techniques of regulating the environment; 5. Environmental rights in Europe; 6. Public enforcement of EU environmental law; 7. Private enforcement of EU environmental law; 8. Climate change; 9. Air pollution and industrial emissions; 10. EU water law; 11. Impact assessment; 12. Nature and biodiversity protection; 13. Technological risk regulation: chemicals, genetically modified organisms and nanotechnology; 14. Waste. Introduction; Part I. Foundations: 1. Emergence and development of international environmental law; 2. Main features of international environmental law; 3. The principles of international environmental law; Part II. Substantive Regulation: 4. Oceans, seas and freshwater; 5. Atmosphere; 6. Biological diversity; 7. Dangerous substances and activities; Part III. Implementation: 8. Traditional approaches: responsibility/ liability/adjudication; 9. Alternative approaches - facilitation and management of 'noncompliance'; Part IV. Interactions with Other Branches: 10. Interactions with human rights law; 11. Interactions with the law of armed conflict; 12. Interactions with international economic law. 1. Introduction; 2. The rationale for international action on climate change; 3. The UNFCCC regime, from Rio to Paris; 4. Relevant developments in other regimes; 5. Relevant norms of general international law; 6. Differentiation; 7. International action on climate change mitigation; 8. Flexibility mechanisms; 9. Geoengineering; 10. International action on climate change adaptation; 11. Loss and damage; 12. International support; 13. Ambition and compliance; 14. Adjudication; 15. Non-state actors; 16. International law in times of climate change. Part I. The Origins and Future of ECL: 1. TFEU provisions on company law; 2. The company law directives; 3. Uniform company law; 4. Simplifying and modernising ECL; Part II. The Right of Establishment: 5. Primary establishment in ECJ case law; 6. Secondary establishment in ECJ case law; 7. New legislative trends; Part III. Formation: 8. The setting-up of a NewCo; 9. The formation of an SE; Part IV. Finance and Accounts: 10. Legal capital and capital formation; 11. Capital maintenance; 12. Annual and consolidated accounts; Part V. Corporate Governance: 13. Corporate governance; 14. Management and control; 15. General meeting; 16. Protection of minorities and equal treatment of shareholders; Part VI. Capital Markets and Takeover Regulation: 17. Capital markets; 18. Takeover regulation; Part VII. Merger, Division, Dissolution and Insolvency: 19. Merger and division; 20. Dissolution and insolvency. The new edition reflects the challenges facing the European Union now, with dedicated chapters on Brexit, the migration crisis and the euro area, and with further Brexit materials and analysis integrated wherever relevant. Materials from case law, legislation and academic literature are integrated throughout to present the student with the broadest range of views and deepen understanding of the context of the law. A dedicated site introduces students to the wide -ranging debates found in blogs on EU law, EU affairs more generally and Brexit. This is a required text for all interested in European Union law. • Sets out a wide range of legal and non-legal materials that encourage students to see why EU law matters and why it is controversial. • A dedicated website accompanies the textbook, comprising all the significant blogs and websites on the European Union, thereby allowing access to wider debates. • Provides chapters on the most polarizing currents events within the EU: the Mediterranean migration crisis, the euro crisis and Brexit. 1. European Integration and the Treaty on European Union; 2. The EU Institutions; 3.Law-making; 4. The EU Judicial Order; 5. The Authority of EU Law; 6. Fundamental Rights; 7. Rights and Remedies in National Courts; 8. The Infringement Proceedings; 9. Judicial review; 10.Brexit; 11. Citizenship of the Union; 12. Non-EU Nationals; 13. Equal Opportunities Law and Policy; 14. The Internal Market; 15. Economic and Monetary Union; 16. The Free Movement of Goods; 17. The Free Movement of Services; 18. The Pursuit of an Occupation in Another Member State; 19. Trade restrictions and Public Goods; 20. EU Competition Law: Function and Enforcement; 21. Antitrust and Monopolies; 22. State Aid Law. 1. Historical development of international humanitarian law; 2. The contemporary legal basis of international humanitarian law and its fundamental principles; 3. Types of armed conflicts; 4. Individual status in armed conflict – combatants, non-combatants, direct participation in hostilities and prisoners of war; 5. Protection of the wounded, sick, and shipwrecked; 6. The law of occupation and the protection of civilians; 7. Targeting; 8. Means and methods of warfare; 9. Implementation, enforcement and accountability. Written for advanced undergraduate and postgraduate students and practitioners, this book offers a comprehensive, systematic and diverse presentation of international humanitarian law cases and materials accompanied by accessible and targeted commentaries, and is suitable both as a standalone resource and as a supplementary text. 1. The origins of investment protection and international investment law; 2. Investment contracts and internationalisation; 3. The metamorphosis of investment treaties; 4. Investment dispute settlement; 5. Jurisdiction, admissibility and parallel proceedings; 6. Applicable laws; 7. Evidence; 8. Provisional measures; 9. Protected investments; 10. Protected investors; 11. Fair and equitable treatment, and full protection and security; 12. Contingent standards: national treatment and most favoured nation treatment; 13. Expropriation; 14. Umbrella clauses; 15. Defences; 16. Remedies; 17. Costs and legal fees; 18. Challenging and enforcing awards, and the question of foreign state immunities; 19. New directions in international investment law and arbitration. 1. Introduction; 2. The shaping factors; 3. Controls by the host state; 4. The liability of multinational corporations and home state measures; 5. Bilateral investment treaties; 6. Multilateral and regional instruments on foreign investment; 7. Settlement of investment disputes: contract-based arbitration; 8. Treatybased investment arbitration: jurisdictional issues; 9. Causes of action: breaches of treatment standards; 10. The taking of foreign property; 11. Compensation for nationalisation of foreign investments; 12. Defences to responsibility. 1. International trade and law of the WTO; 2. The World Trade Organization; 3. WTO Dispute Settlement; 4. Most favoured nation treatment; 5. National treatment; 6. Tariff barriers; 7. Non-tariff barriers; 8. General and security exceptions; 9. Economic emergency exceptions; 10. Regional trade exceptions; 11. Dumping; 12. Subsidies; 13. Technical barriers to trade; 14. Sanitary and phytosanitary measures; 15. Intellectual property rights; 16. Future challenges to the WTO and the multilateral trade system. Part I. Law, Lawyers and Justice: 1. Welcome to the law; 2. History and justice; 3. Parliaments and courts; Part II. Learning the Laws: 4. Categories of law; 5. Law made by judges; 6. Law made by parliaments; Part III. Research and Persuasion: 7. Frameworks for legal thinking; 8. Analysing and persuading; 9. Grappling with facts; Part IV. Profession and Community: 10. The ethical lawyer; 11. Equality, difference and law; 12. Lawyering in the digital world; 13. Influencing the law. 1. Introduction; Part I. Law As It Is: 2. British legal positivism: philosophical roots and command theories; 3. Herbert Hart's new beginning and new questions; 4. Germanic legal positivism: Hans Kelsen's quest for the pure theory of law; 5. Realism in legal theory; Part II. Law and Morality: 6. Natural law tradition from antiquity to the Enlightenment; 7. John Finnis' restatement of classical natural law; 8. Separation of law and morality; Part III. Social Dimensions of Law: 9. Sociological jurisprudence and sociology of law; 10. Radical jurisprudence: challenges to liberal legal theory; 11. Economic analysis of law; 12. Evolutionary jurisprudence; Part IV. Rights and Justice: 13. Fundamental legal conceptions: the building blocks of legal norms; 14. Justice. 1. Negotiation; 2. Mediation; 3. Inquiry; 4. Conciliation; 5. Arbitration; 6. The International Court I: organisation and procedure; 7. The International Court II: the work of the Court; 8. The Law of the Sea Convention; 9. International trade disputes; 10. The United Nations; 11. Regional organisations; 12. Trends and prospects. The European Convention of Human Rights is one of the world’s most important and influential human rights documents. This book offers a clear insight into the concepts and principles that are key to understanding the European Convention and the Court's case-law. Core issues discussed are the types of Convention rights (such as absolute rights); the structure of the Court's Convention rights review; principles and methods of interpretation; positive and negative obligations; vertical and horizontal effect; the margin of appreciation doctrine; and requirements for the restriction of Convention rights. Professor Gerards' book is a splendid contribution to the literature on the European Convention on Human Rights. With copious quotations from the judgements, the author demonstrates how rich and significant the jurisprudence on Convention principles has become. A must-read for anyone interested in the Strasbourg system and human rights law generally." 1. Basics of the Convention system; 2. The Court's overall argumentative approach - mediating between the abstract and the concrete; 3. Principles governing the interpretation and application of Convention rights; 4. Methods of Convention interpretation; 5. Positive and negative obligations; 6. Vertical and horizontal effect; 7. The margin of appreciation doctrine; 8. Justification of restrictions I – lawfulness; 9. Justification of restrictions II - legitimate aim; 10. Justification of restrictions III - necessity, proportionality and fair balance; Index. The first textbook on international and European disability law and policy. By adopting the principles of the human rights model of disability and the social model, students are equipped with the necessary theoretical and conceptual background on disability, and a comprehensive overview of the legal and policy frameworks on disability • Covers both International and European disability law • Takes the perspective of the social model of disability • Uses a text, cases and materials approach to provide context to students learning in the subject area. 1. The nature and development of international law; 2. International law today; 3. Sources; 4. International law and municipal law; 5. The subjects of international law; 6. The international protection of human rights; 7. The regional protection of human rights; 8. Individual criminal responsibility in international law; 9. Recognition; 10. Territory; 11. The law of the sea; 12. Jurisdiction; 13. Immunities from jurisdiction; 14. State responsibility; 15. International environmental law; 16. The law of treaties; 17. State succession; 18. The settlement of disputes by peaceful means; 19. The International Court of Justice; 20. International law and the use of force by states; 21. International humanitarian law; 22. The United Nations; 23. International institution. Part I. The Structure of International Law: 1. The setting of international law; 2. The making of international law; 3. The law of treaties; 4. The subjects of international law; 5. Jurisdiction, powers and immunities; 6. The individual in international law, including human rights; 7. The law of responsibility; 8. International courts and tribunals; 9. Sanctions, countermeasures and collective security; Part II. The Substance of International Law: 10. Use of force; 11. The law of armed conflict; 12. International criminal law; 13. The seas, the air and outer space; 14. Protecting the environment; 15. The global economy; Part III. The Surroundings of International Law: 16. Domestic courts and their relationship with international law; 17. The politics and ethics of international law and global governance; 18. By way of conclusion. Part I. Foundation of International Dispute Settlement: 1. International dispute settlement in perspective; 2. Negotiation, good offices and mediation; 3. Inquiry and conciliation; 4. International dispute settlement through the United Nations; 5. Inter-state arbitration; 6. International Court of Justice (I): organisation and jurisdiction of the court; 7. International Court of Justice (II): law and procedure of the court; Part II. International Dispute Settlement in Particular Fields: 8. International dispute settlement in the UN Convention on the Law of the Sea; 9. The WTO dispute settlement system; 10. Peaceful settlement of international environmental disputes; 11. Peaceful settlement of disputes involving non-state actors; 12. The quest for peace in international law. Part I. The Prohibition of the Threat or Use of Force: 1. The general breadth and scope of the prohibition; 2. The meaning of 'force'; Part II. The Use of Force in the Context of Collective Security: 3. The use of force under the auspices of the United Nations; 4. Issues in relation to authorisation by the UN Security Council; 5. Peacekeeping and the use of force; Part III. The Use of Force in Self-Defence: 6. General aspects of the right of self-defence; 7. Preventative selfdefence; 8. Self-defence against non-state actors; Part IV. Forcible Intervention in Situations of Civil Unrest: 9. Consent to intervention and intervention in civil wars; 10. The doctrine of humanitarian intervention; Conclusions. Introduction; 1. International crimes; 2. Individual and collective responsibility; 3. The global institutional architecture; 4. International criminal justice procedures; 5. Remedying wrong; 6. Beyond the status quo: re-thinking international criminal law. Contents Part I. Introduction: 1. Introduction; 2. The aims, objectives and justifications of international criminal law; Part II. Prosecutions in National Courts: 3. Jurisdiction; 4. National prosecutions of international crimes; 5. State cooperation with respect to national proceedings; Part III. International Prosecution: 6. The history of international criminal prosecutions: Nuremberg and Tokyo; 7. The ad hoc international criminal tribunals; 8. The International Criminal Court; 9. Hybrid and Special Courts; Part IV. Substantive Law of International Crimes: 10. Genocide; 11. Crimes against humanity; 12. War crimes; 13. Aggression; 14. Transnational crimes, terrorism and torture; 15. General principles of liability; 16. Defences/grounds for excluding criminal responsibility; Part V. International Criminal Procedure and Sentencing: 17. International criminal procedure; 18. Victims in the international criminal process; 19. Punishment and sentencing; Part VI. Relationship between National and International Systems: 20. State cooperation with the international courts and tribunals; 21. Immunities; 22. Alternatives and complements to criminal prosecution; 23. The future of international criminal law; Index. This carefully edited text collects the major documents on International Criminal Law, through the early practice after the First World War, the Nuremberg and Tokyo International Military Tribunals up to the present. It includes the statutes of the ad hoc Tribunals for the former Yugoslavia and Rwanda, as well as the Rome Statute of the International Criminal Court and its associated documents, including the elements of crimes that were adopted to assist the Court, and its Rules of Procedure and Evidence. The book also includes the main treaty provisions that provide the basis of the subject. Edited by a specialist in the field with more than twenty years’ experience of teaching international criminal law, this book is designed for practical use by students and practitioners. • Offers a one-stop resource for the key texts important in International Criminal Law • Suited to students and practitioners alike, providing a companion for study, exam use and practice. • Edited by a specialist in the field with more than twenty years’ experience of teaching international criminal law. Part I. The Sources: 1. The rise of international human rights; 2. State responsibility and ‘jurisdiction'; Part II. The Substantive Obligations: 3. Respecting human rights: avoiding interference; 4. Protecting human rights: regulating private actors introduction; 5. Fulfilling human rights: progressive realization; 6. Derogations in time of public emergency; 7. The prohibition of discrimination; Part III. The Mechanisms of Protection: 8. Ensuring compliance with international human rights law: the role of national authorities; 9. The United Nations human rights treaties system introduction; 10. The United Nations charter-based monitoring of human rights; 11. Regional mechanisms of protection. This book is an introduction to and defense of originalism and the Founding Fathers intended for a more general audience. 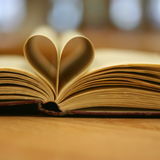 No similar book exists. It is aimed at law students, advanced college students, policymakers, and the politically interested reader seeking a general introduction to originalism and its implications for today. This handbook provides practical insight into the rules and procedures of the WTO dispute settlement system. It will appeal to academics and students of international economic law, practitioners in the fields of international trade and arbitration, officials from WTO member governments, panellists and international adjudication bodies. Originalism as Faith presents a comprehensive history of the originalism debates. This will be of interest to lawyers, law students, undergraduates studying the Court, law professors and anyone else interested in an honest discussion and evaluation of originalism as a theory of constitutional interpretation, a political weapon, and an article of faith. The field of artificial intelligence (AI) and the law is on the cusp of a revolution. This book designed to explain computational processes to non-programmers - describes how text analytic programs will change the practice of law, specifically by connecting computational models of legal reasoning directly with legal text. Comparative Religious Law provides for the first time a study of the regulatory instruments of Jewish, Christian and Muslim religious organisations in Britain in light of their historical religious laws. It proposes that religious laws pervade society and are recognised by civil law. A Charter of 'the principles of religious law' is proposed to stimulate greater mutual understanding between religion and society and between the three faiths themselves. This book is designed to help law students and lawyers of all experience levels find a sustainable and meaningful life in the field of law. This book includes journaling and other interactive exercises that can help lawyers find peace, focus, meaning, and happiness over a lifetime of practicing law. This book will appeal to corporate law scholars, lawyers, business people, students, and anyone interested in the social consequences of corporate law. It explains and deepens scholarly arguments about corporate law and policy, in a clear, engaging prose style that will be of interest to both academic experts and the general public. Enhanced Beings discusses the biology, psychology, and law of human germline modification. It debunks common objections to the technology and explains the hidden psychology behind them. It also argues against legal bans. Readers interested in bioethics, health, psychology, and the law will value this book, as will policymakers and legislators. In this illuminating work, Stephen J. Lubben tackles many questions related to the collective law of business insolvency in the United States. In the first book of its kind, Lubben notes the broad similarities between the many insolvency systems in the United States while describing the fundamental differences lurking therein. This illuminating book examines the successes and failures – of the Clean Air Act of 1963, with the aim to offer lessons for future climate and energy policymaking in the US at the federal and state level. It provides critical information to legislators, regulators, and scholars interested in understanding environmental policymaking. Copyrighting God provides the first detailed account of how American religious organizations used copyright in sacred texts not simply for economic gain but also for social organization and control. This book examines how religious copyright owners mobilized the law in order to organize communities, protect sacred goods, produce new forms of spiritual identity, and even enchant the material world. Odinet gives voice to homeowners that have been neglected, particularly those facing foreclosure and financial distress. The book reveals the powerful and often invisible mortgage servicing industry, the tremendous discretionary power it wields over the housing lives of most Americans, and the servicing problems that still persist today. Foreclosed should be read by anyone concerned with the state of housing and home ownership in the United States. A new legal-sociological account of contemporary democracy, arguing that it is best understood through a transposition of key insights of classical legal sociology onto the form of global society. It will appeal to post-graduate students in law, political science and the sociology of law, as well as institutional transformation researchers. This title is also available as Open Access. Aimed equally at scholars of political economy, sustainability, and international law seeking ways to shape rules and structures to achieve global sustainable development, and at general readers wondering how to make the necessary transition from a carbon-dependent economy to a green, sustainable future in which all can prosper and share. Online Visit www.cambridge.org/ lawtextbooks, find your chosen textbook, click the ‘request an inspection copy’ button and complete the online form. Please note that only books marked ‘Request inspection copy’ are available in this way.